Great excitement this morning when the postman brought the parcel below. We decided it would be good to have a camera in a nest box this year especially as we have somewhere to show our pics. The weather is fine this morning so we will now go out into the garden to consider where we will site it then get it set up! I hope we get visitors in this one. 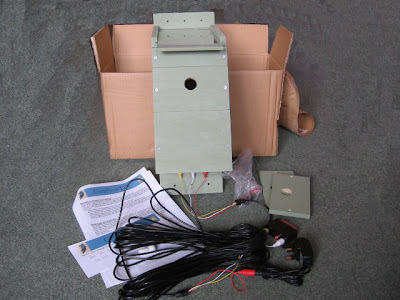 For full details on our Camera Nestbox go to CamNest.